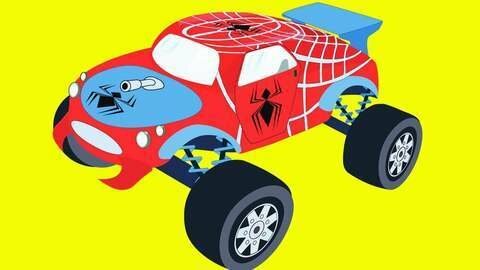 While driving around the city, monster car Spiderman passes by Captain America, Iron Man and Batman. When he leaves, a crazy storm hits and he finds a little car stuck in the electrical lines! That car turns out to be his new friend. Welcome new Seezis cartoon! Watch full episode of this cartoon for children online for free at SeeZisKids.